I’ve posted several times now about batteries and power consumption but they’re still a cause of substantial concern. Ultimately, I think it’s the batteries, or rather the power requirements, that are going to make or break this project. 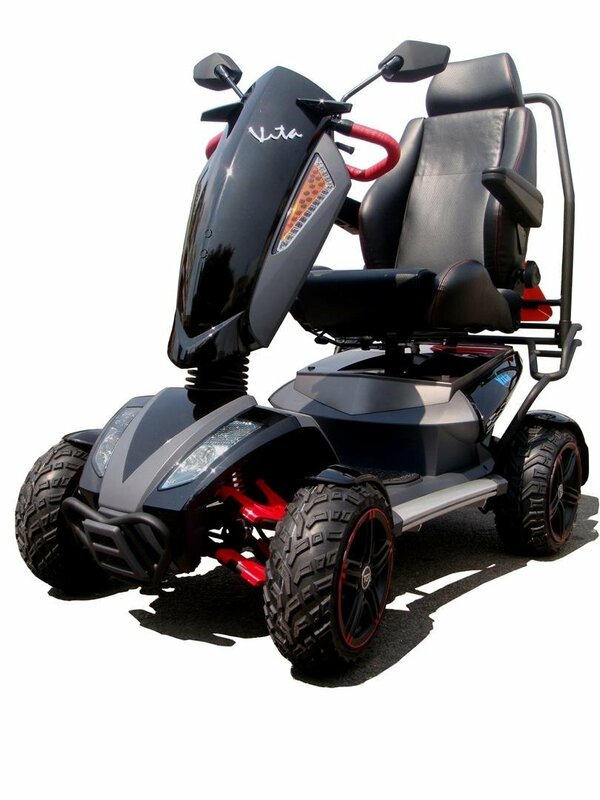 My first calculations suggested that the wheelchair would need a 3 tonne battery, or in other words; this project is an impossible dream. Employing a large dose of optimism I made some very arbitrary amendments to tailor the results of the calculations to make the project look possible but ever since it has been niggling away in the back of my mind. Obviously the gradient of the path will be steeper in parts than others, but having this average should give us more accurate calculations. To pull a 100kg weight up this slope at 5kph needs a 250w motor. That’s a far cry from the 3,000w motor I’d quoted previously. As you double the weight though, the power requirement doubles. So a 200kg weight needs a 500w motor. Obviously, as the power requirement for the motor increases, so does the power consumption and the weight of the required battery. It’s clear then that power requirements, and therefore weight reduction, are going to become an important part of this project. A 500w motor seems awfully small though when you consider that a child’s quad bike might have a 1,000w motor. Ultimately I want to know how powerful the motors need to be and which battery will provide that power? Length of path – 7.23km to the top, 14.46km return. How is power distributed between the motors – If six motors produce 500w each, does that mean you have 3,000w power? If a 500w motor needs 30 amps to get up the hill, does that mean that the six motors need 180 amps (6 x 30) or does it mean that because there are six motors all doing the work they don’t need to draw as much power and therefore they have a combined power requirement of 30 amps? On top of this I’m also going to need to know the power requirements of other devices, such as lights, battery indicators, linear actuators/hydraulics, any software controllers that might be on board, motor controllers etc. As you can see, most of this can’t yet be answered so for the moment I’m going to concentrate on question 8 and 9. They seem like they shouldn’t bee too difficult to find the answers to and I expect they will influence the outcomes of the other questions too. *Update* here are the answers to questions 8 and 9.